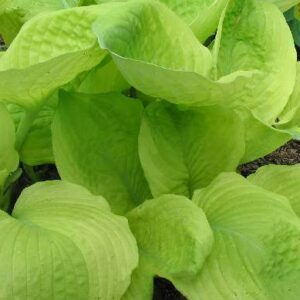 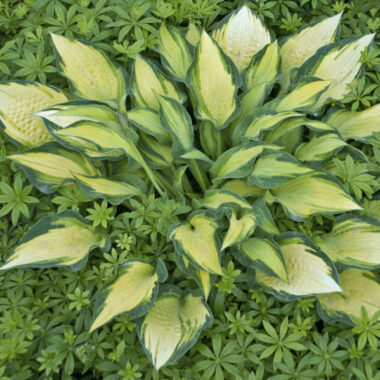 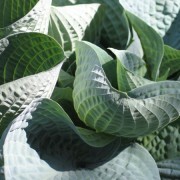 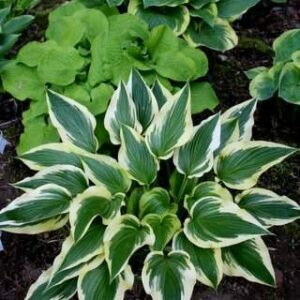 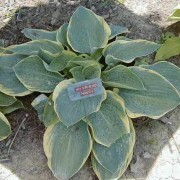 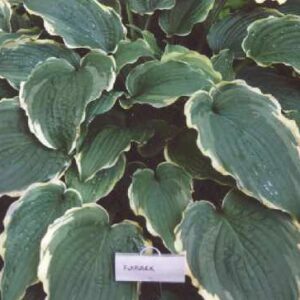 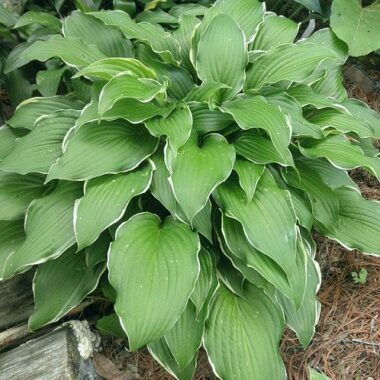 Firn Line Hosta – Stunning sport of ‘First Frost’. 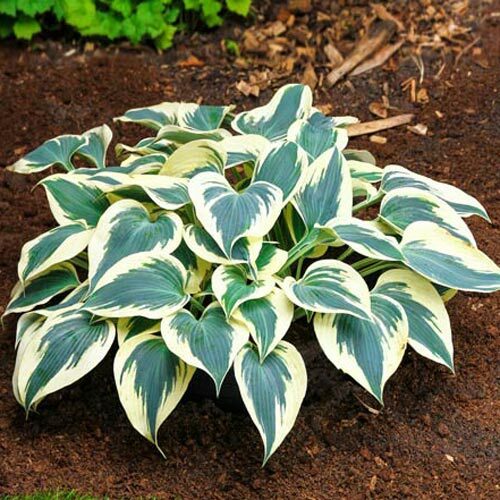 In spring the leaves emerge with a thick yellow margin that quickly turns pure white, with a beautiful frosty blue center. 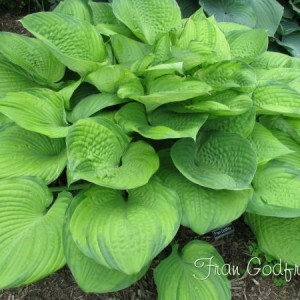 Leaves are heart shaped and of great substance.